ManageEngine NetFlow Analyzer is a web-based bandwidth monitoring and traffic analysis tool that uses CiscoNetFlow®, sFlow®, cflowd®, jFlow®, IPFIX®, NetStream® and Cisco NBAR® to provide detailed reports on network traffic. NetFlow Analyzer helps IT administrator answer the who, what, when, where, and how of bandwidth usage. Real Time Visibility to network traffic and who are the top talkers on the network. 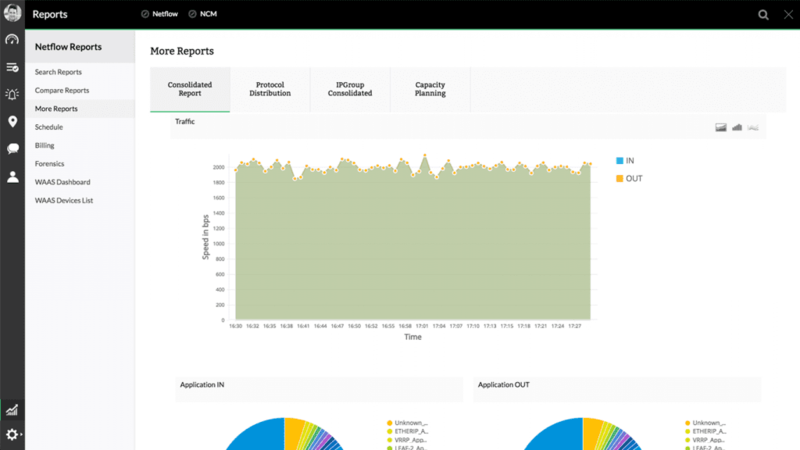 Netflow analyzer is Supporting monitoring Cisco-based environments such as routers, switches, WLCs, and Firewall in performing network traffic monitoring & security analytics. Department wise Bandwidth Monitoring: Monitor bandwidth usage on the different departments in your organization. Know how much bandwidth each department consumes. 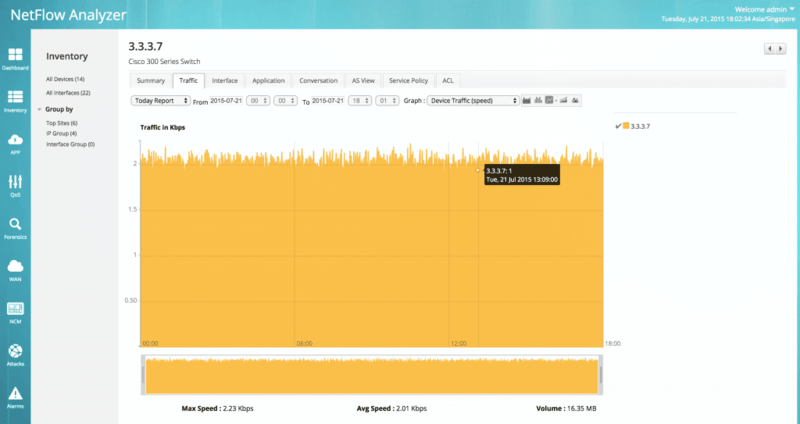 Application-specific usage monitoring: View the top applications on your network. Make sure that your applications critical to your business get maximum priority. Cisco Medianet reporting: NetFlow Anlyzer accelerates troubleshooting in the media-rich network, which means saving time & money. 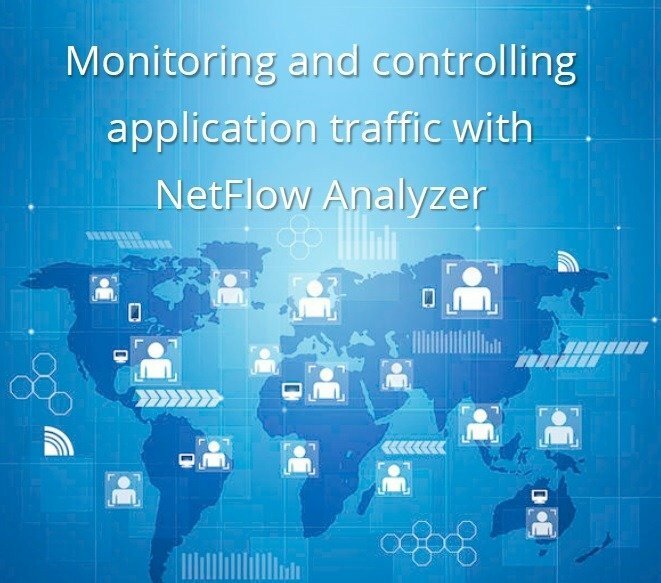 Site-to-site traffic monitoring: Netflow Analyzer enables viewing site-to-site traffic patterns in your network. Allocate your bandwidth appropriately. 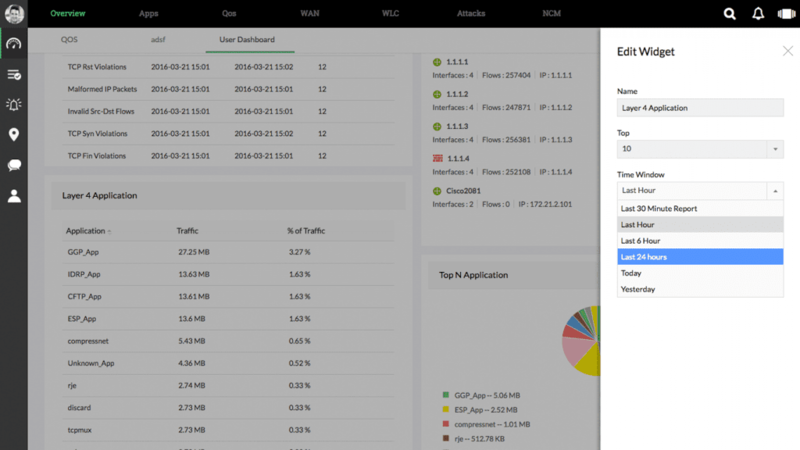 View the effectiveness of your WAN optimization through WAAS reports. NetFlow Analyzer helps in monitoring your critical networking devices(routers/switches) using flows and generate mission-critical information to ensure that, your network bandwidth is appropriately used. Dashboard customization: The customizable dashboard allows the user to add widgets such as top devices, interfaces, interface groups and IP groups by speed, volume, utilization and many more criteria. HighPerf Reporting Engine: It is an add-on to ManageEngine NetFlow Analyzer which is a high-performance database specially designed to improve raw data storage and facilitate faster report generation. - Faster troubleshooting with advanced Forensics. - Compare reports for facilitating comparing multiple devices at a given point in time with the ability to measure how different devices perform for the same amount of time. All the traffic information pertaining to a particular device or interface can be seen in the 'Consolidated reports' section. This would give you vital information like Volume, Utilization, and speed. Billing: Ensure fair billing from your ISP. You could also use it for charge-back in your different departments.